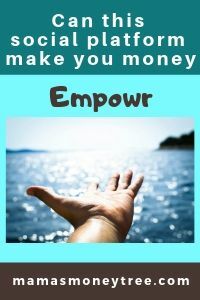 If you are trying to look for some clarity amidst the confusion that this social platform has sent you in, and wondering is Empowr a scam, you have landed at the right place. Proclaiming such a noble mission of itself: To empower people by enabling opportunity, hope and influence. And its goal: To help half the planet (4 billion people) earn an average of $25 per day by the year 2025. You would not be the only one touched by their virtuous values. The puzzling bits start forming when you actually join this platform and try to use it and interact with other people on it. You may start to realise that certain pieces do not add up. In this honest, unbiased and in-depth Empowr review, we will go behind the veil of this democratic social economy, to discover its ugly truth and real motive. 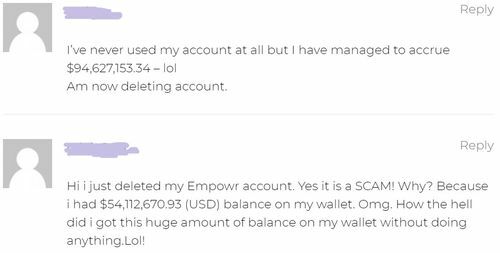 Empowr is the newest name for an old scam that has been around as SMS.ac, Fanbox, Project Uplift, and now this. It is a completely non-transparent platform on which you do what you would do on any social media platform, but economic transactions are involved. It takes 90 days for your “coins” to mature, while in the meantime they take your hard cash from your PayPal or credit card accounts without notice. Read on for the detailed review of Empowr, and why I call it scam. Do not confuse this with Empower Network, which is an MLM business. The owners of Empowr puts it this way in describing what this platform is all about: It is a democratic social economy where the crowd rewards the crowd for their content. Using Empowr blockchain and cryptocurrency, Empowr “coins” are minted daily and distributed to content producers according to the “Likes” they receive. Empowr earns through transaction fees on the marketplace, advertising fees, and subscription fees. Empowr citizens (that’s anybody who joins their platform) earn from posting content, selling products and services in the marketplace, or teaching others how to be successful on the platform (by being a Social Coach). Empowr coins take 90 days to mature, before you can cash it out, with the rationale that it gives you more opportunities to use them for stuff on the platform. It sounds simple and straightforward, pretty much like those regular get-paid-to sites, which reward you for tasks you do. But reality sets in when you actually start to use the platform. So you can earn by posting content, and based on the “Likes”, you get paid different amounts. But there is zero information on how much you can get paid. The scarier truth is, each time you post something, you are using up your Ad Credits. And as your Ad Credits get depleted below $2, Empowr automatically charges your PayPal or credit card account which you are required to link to them for receiving payments from them. This tells us how smart these scammers are. They make you agree to let them take your money once your Ad Credits get depleted, and then tell you that they are on your side for giving you this free automatic account protection. What BS. The hideous thing is, no one knows about all these advertising fees and other kinds of fees that they will be charged, until they actually charge it to their accounts. Any earnings that you get stays in your Empowr account, which is extremely hard to cash out. Whereas any fees or deductions, they will get it through your PayPal or credit card accounts directly, instead of deducting from the coins in the Empowr account, even if there is more than enough. And believe me, you will have enough coins in your Empowr account. Look at all these people making millions and millions, despite doing nothing on this platform. What a joke. It is totally wrong, the principle on which Empowr is run. A proper social platform like FaceBook, or Instagram, is there to serve its users by allowing them to freely interact, share pictures, posts, videos, etc. with family and friends. The interaction is genuine. You really do want to just relax and catch up with friends’ lives on there. These platforms earn through advertising fees from merchants who have real products or services to sell. Whilst in Empowr, it is a democratic social economy where the crowd rewards the crowd for their content. When monetary gains come into the picture, it becomes reward-driven. People share content because they are looking for rewards. Would the interactions still be genuine, I really wonder. Can you imagine FaceBook or any other social platform operating like that? I think people will abandon them in no time at all. And to charge you advertising credits for posting content? I think that’s really quite ridiculous. From how this platform has to keep changing its name and morphing into a seemingly different product each time (from SMS.ac and Fanbox to Project Uplift and now this), but with its core operation remaining the same, you can guess how bad its reputation must have been. Your correspondence or business dealings with, or participation in promotions of, any advertiser and/or third party content provider, Platform Developer (including blog content providers), business entity or person (collectively “Third Party Provider”) found on or through the Service, including payment and delivery of related goods or services, and any other terms, conditions, warranties or representations associated with such dealings, are solely between you and such Third Party Provider. This is very unlike proper buying and selling platforms like Amazon, eBay, etc. where they spell out their buyer protection policy. For Empowr to make earnings from the transactions in their marketplace, and yet refuse to take any responsibility to protect their users, is quite appalling. In case of any dispute, how do they expect people to go after those who failed to deliver the ordered goods, or those who failed to make payment, when they do not have their information? Would you buy and sell on a platform like that? I would say more likely it is a breeding ground for fraudsters to carry out some funny activities and then go scot free. If you are serious about making money online, let me show you how I am doing it, so that you can decide for yourself if it is something you would like to do. 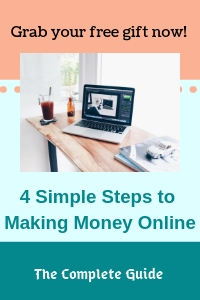 The way I am earning my online income allows me to build up my very own online business, in a way that is neat and hassle-free. I leverage on the millions of existing products, and the fact that people have taken their shopping online. I simply promote some existing products relevant to my chosen niche. When customers buy the products through my affiliate links, I earn a commission. It is a cool business model because no product passes through me. The sales transactions take place directly between the customers and the retailers. I get rewarded by the retailers by driving business to them. This allows me to work from home, full time. And I am not working for anybody else, as I can choose to promote whichever companies, retailers or suppliers that I like, and whatever number of them that I choose to work with. Moreover, the traffic method that I use to send potential customers to my offers is completely free. I do not spend a single cent on advertising, nor do I have to go on any social media to find traffic. In fact, people come looking for me, I do not have to go and look for customers. That is the beauty of the business model and traffic method that I am using. Well, yes the owners of Empowr are real people, at least they are not trying to hide behind the screen. 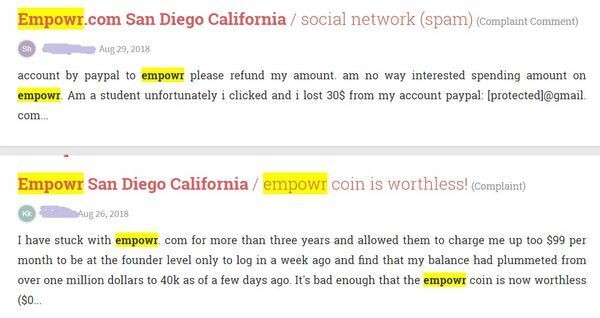 I’m sure not all their citizens experience Empowr as a scammy platform, otherwise they would have gotten into serious trouble long ago. There are still some positive reviews from real users around. They have to let some people cash out their earnings, to remain in business. But I wouldn’t count on my luck for this. Anyway, even for those who managed to cash out some of their earnings, I’m not sure if the hours and effort spent are even worth the while or not. 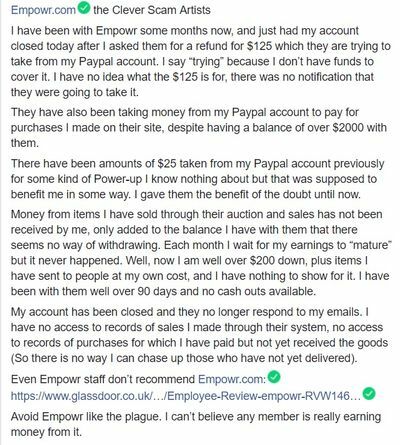 There is even an Empowr Scam Alert FaceBook page set up to support people who are facing problems with Empowr. On its official FaceBook page, you will find very extreme opinions, citizens feeling cheated and calling it a big scam, and others insisting it is not. You can decide for yourself, whether or not to partake in such a controversial ‘opportunity’. It is dishonest to simply deduct some random amounts from PayPal or credit card accounts that users are not made known about upfront. Empowr is not transparent at all about their advertising credits for posting stuff, how much you will earn when people like your posts, as well as the fees for power up subscriptions. People are being charged for these without prior notice or knowledge about it. I’m sure they covered themselves well through their terms of service agreement, and have somehow managed to stay on the right side of the law. It is wrong to pollute social interactions with monetary transactions. Imagine paying your family at the dinner table to hear you talk about your day, and them paying you back (and hopefully more) if they like your stories. My honest opinion to: is Empowr a scam, is Yes. I see it as a scam because it has not laid out the terms of payment openly, and has set things up such that it can keep charging to their citizens’ real accounts, while their earnings sit in their Empowr accounts for 90 days, after which they face many obstacles when trying to cash out. It is a waste of your time and effort, while you risk getting cheated of your money. Stay far away from it, it is as useless as some products I have reviewed, like Quick Home Websites, RankFlux, and Cash Grab, to name just a few. I absolutely do not recommend Empowr. If you want to make some serious money online, let me show you what I am doing right now, full time, from home. I am building up my very own online business, through a business model called affiliate marketing. 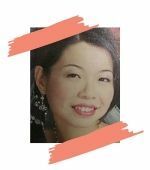 I simply choose a niche that I am passionate about, and promote great products (of my choice) in the niche, and earn a commission from it. This is a lucrative business, with the trend of shopping going online big time these days. Merchants and retailers are recognising the value of affiliates in providing free advertising for their products when they promote them, hence more affiliate programs are sprouting up than ever before. Moreover, people in this information age tend to do some research before buying stuff. So if you can channel them onto your affiliate offers just as they are ending their research cycle, then you take a share of the earnings from the retailers, at no extra cost to the customers. To the retailers, it’s like paying for advertising, but better. Because they pay only when you have driven real buying customers to them. So it’s win-win-win for everyone, all around. If you have any concerns or questions regarding this Empowr review, do comment below, and we will start a conversation from there.